Commercial and Residential Construction | Sarnia, Strathroy and Petrolia | Carosyl Home Additions Inc.
Are you in the Petrolia area? Education and experience don’t count for much if you don’t present yourself in a professional manner. Carosyl Home Additions Inc. makes sure that every member of our staff always presents the image we want our company to have. General Contractor servicing Petrolia ON, specializing in Home Additions, Room Additions, Complete Home Renovations, Bathroom and Kitchen Remodeling. Carosyl Home Additions Inc. has been providing services in the field of construction since 1981. Although we initially focused our efforts on new residential construction, we progressively expanded our services to incorporate commercial, hospitality and residential renovations. Our Goal is to incorporate our client's style and personality using design best practice and current trends. Our Goal is for you to have a relaxing and inviting home in which to enjoy life in the company of friends and family, and to provide you with professional guidance and creative Ideas while meeting and exceeding the demands and personalized service requirements of our clientele. 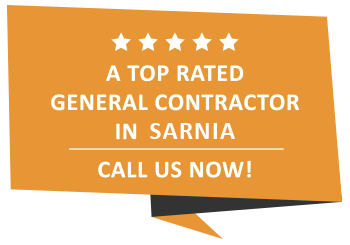 Our Goal is to be the top contracting choice in the Petrolia region for your home renovations. Pride, integrity and dedication to professionalism have been the key elements in improving our standards of quality in each and every project, big or small.